The dream of finding other habitable worlds like our own is now much closer to coming true thanks to the start of the Transiting Exoplanet Survey Satellite (TESS) mission. The TESS satellite, launched yesterday, April 18, will scan more than 200,000 of the nearest, brightest stars for signs of exoplanets. Of the expected windfall of thousands of new planets, at least a hundred should be similar in size to Earth and located in their stars temperate “Goldilocks” zones, where water can stay liquid on a planet‘s surface. TESS is led by the Massachusetts Institute of Technology (MIT). 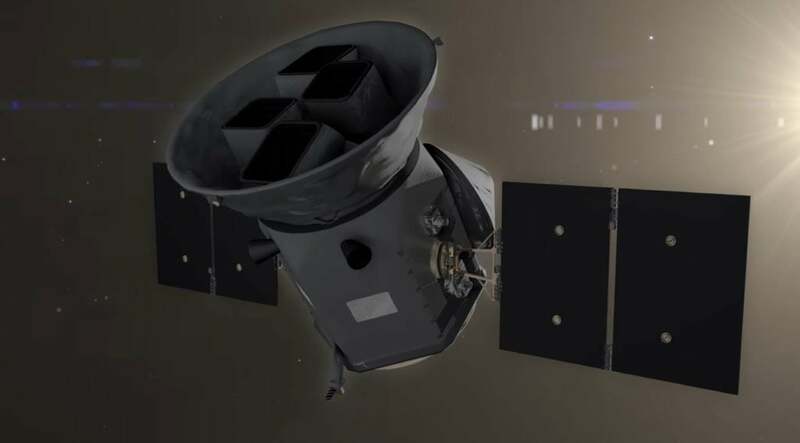 Many members of its MIT Kavli Institute (MKI) for Astrophysics and Space Research spearheaded TESS’ development and serve in primary roles on the mission. The Kavli Foundation, which endowed MKI, has supported the TESS mission as well. To delve into the mission, The Kavli Foundation hosted a roundtable discussion with two MKI researchers involved with TESS. The conversation covered the motivations behind TESS and how it could discover the first-known “Earth twins” right in our cosmic neighborhood. When exoplanets cross the faces of their stars, they cause a slight dimming of the star’s luminosity. TESS is designed to pick this up. Other telescopes will then scrutinize the newly discovered worlds with sizes and masses similar to Earth’s–the candidates most likely to possess life-supporting environments. Next-generation instruments, like the James Webb Space Telescope slated for a 2020 launch, will be able to detect the spectral “fingerprints” of gases in these exoplanets’ atmospheres. Those gases will reveal the exoplanet’s climate, history, and whether the world could be–or perhaps even is–an abode for alien life.